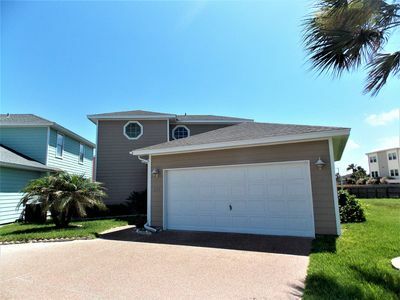 MUSTANG ISLAND LAKE/POOL FRONT HOME, STEPS FROM BEACH/DOLPHINS IN THE SEA, PETS! This stunning property is a short walk from the ocean and sits directly on a lake with a gorgeous view of the natural wildlife and pool. 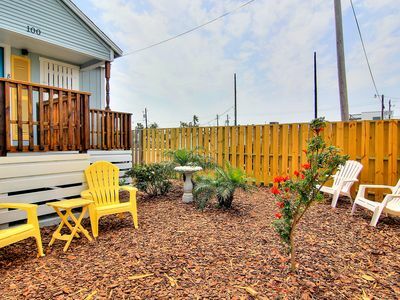 Come relax on our second story porch swing or lounge in our third story honeymoon suite, which both overlook this vacation community. 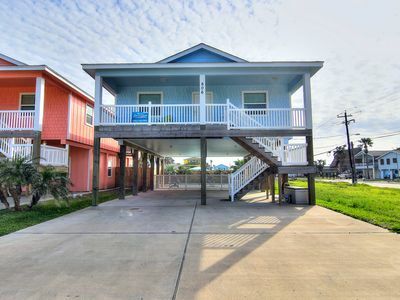 This property is one of the larger properties in Cinnamon Shores, and more spacious than many of the other houses for rent. The environment is great during the week and on weekends. It is one of only two houses that accepts pets in the community (we have a $250 pet fee). Port Aransas is consistently ranked the nicest beach in Texas. You can often find dolphins swimming in the ocean around the corner from the house. You will find golf carts passing by the front of the house, and amazing food down the street. This home overlooks the lake in two directions and the community pool. It is across from a children's park, and a second park where wedding venues are often held. There is an outdoor kitchen for barbecuing and a large food prep area. You can rent your own personal golf cart to take you almost everywhere you need to go on the island. 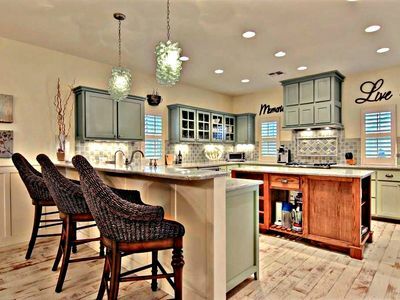 This house is newly painted and features updated amenities. There is ample room to host multiple families. We are very kid friendly, and have tailored our house to have a beach feel. Our rates are comparable to the other houses of similar style. We hope you will love this home as much as we do. 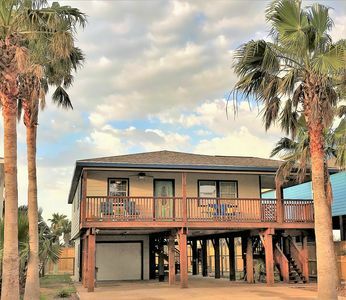 Wonderful studio cottage in the Heart of Port Aransas! 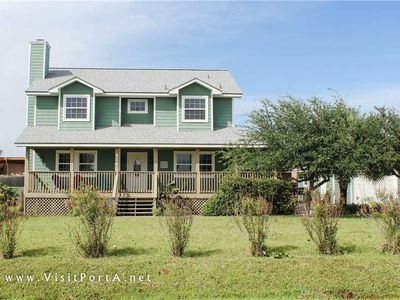 A Stone's Throw, adorable 3 bedrm home about 250 yards from the beach!